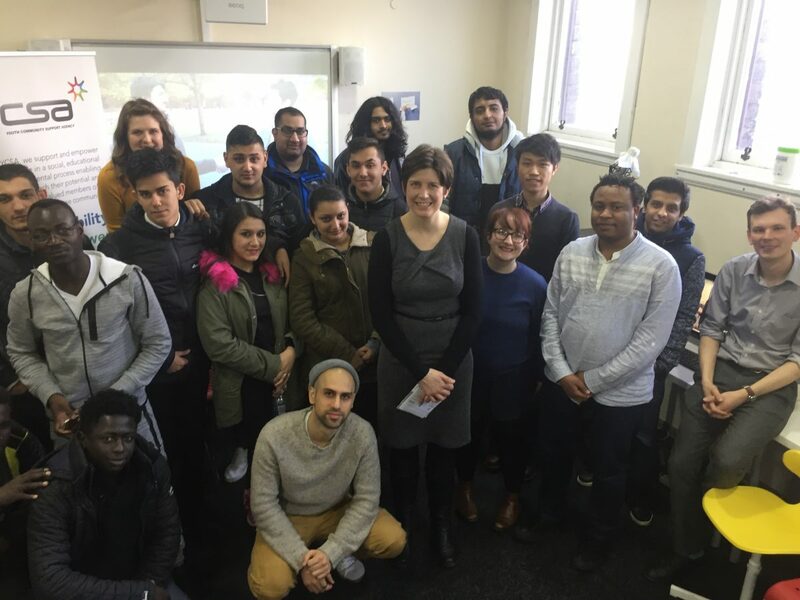 Glasgow Central MP, Alison Thewliss, recently visited YCSA, a youth community initiative which is based in the Pollokshields area of her constituency. Youth Community Support Agency (YCSA) is a leading BME charity with 20 years of experience, focussing on empowering young people in a variety of ways including support in education, the arts, and employability. Visiting the project, Ms Thewliss learned more about the charity and spent more than an hour doing a question and answer session with over 20 young people supported by the project. “I was so grateful to Clare and her colleagues at YCSA for such a warm welcome to the project. I was particularly impressed with the wide range of questions from all of the young people whose lives are being changed for the better by this fantastic community initiative.